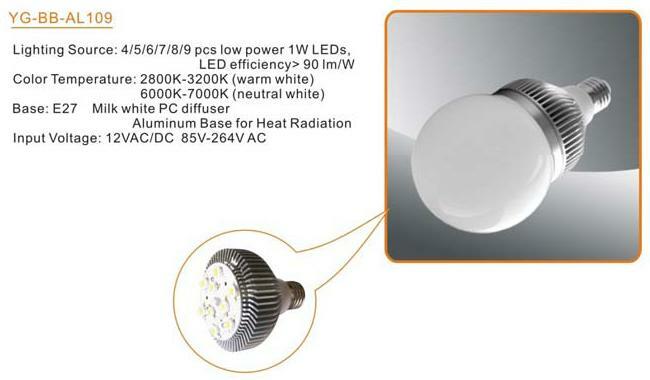 12V input Led Light bulbs can be used to replace the traditional bulbs. They need a voltage transformer to do the work. The life span of the Led bulbs with 230Vac high voltage is short. Some will fail within few ten hours. Tested, the Led chips of the failed HV Led bulb when supply a suitable Low DC Voltage current; they will generate light as normal. The failure is due to the internal Led driver of the HV Led bulb. The Led driver is electronic device similar to power supply. It consists of components such as coil, transformer... and Electrolytic Capacitor (E-Cap). The weakest component of the Led driver or power supply is the E-Cap. The heat generated by the Led chips that raise the surrounding temperature of the E-Cap which enclosed in the Heat sink of the HV Led bulb. The quality of the E-Cap used. For E-Cap in small body size can with stand voltage 12V and high working temperature (around 60 degree Celsius) is common. But for E-cap to with stand voltages of above 100V to 240V with the same body size, the result is early failure of the HV Led bulb. The air ventilation around the Led bulbs when in use. For the Led bulbs to last long, please do not place the Led bulb in a enclosure space. Try to provide some diatence from the Led bulb to the ceiling. This is to allow the hot air (heated by the bulb)surround the Led bulb to move upward and replace cool air from the bottom. The above conclusions are my own observation from the Led bulbs I have. •	Try not ON the Bulb more then 7 hours per day. •	Try not to place the bulb in a small enclosure light set. I have had enough of the HV Led bulb. 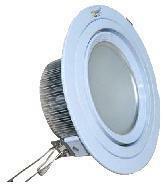 The follow Led bulbs which I am introducing in this page are all only can be powered by 12V. They can be connected to solar system running in 12V. OR need a 230Vac to 12V transformer if used at home or office. * Bulb brightness: > 450 LM. * Dimension : Dia 60 mm x 127mm. * YG-BB-AL109 * Dimension : Dia 102 mm x 180mm. * Bulb Brightness: 350~400 LM. * Bulb Brightness: 650~720 LM. 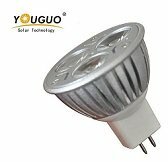 How Led save electrical charge in long run? Lets assume the bulb is turned ON for 10 000 hours . The total wattage of the Led Bulb is 5 Watts. The cost of electricity charge rate is S$0.2728 per KW/H(Singapore electrical charge rate for mid year 2011). --35W x 10 000H x $0.2728/1000= $94.50. ----5w x 10 000H x $0.2728/1000= $13.64. The life span of a Led is around 20 000 Hours. Is the cost of purchasing and replacing of Energy Saving light equal to zero? And the troubles of being unable to see, read ... when the bulb is faulty. The light beam of the Led Bulb does not flicker and without UV and infrared light. Led light source are used in those special lighting which specially take care of our eyes. When I changed my bedroom lighting to LED bulb, it feel less shining, but it is much clear and soothing for reading books, and looking at the computer screen. Feed Back for the LED light Bulbs? Please Click to go Back .